You can upgrade firmware online if your PC is connected to the Internet. Connect PHPoC product to your PC via a USB cable. 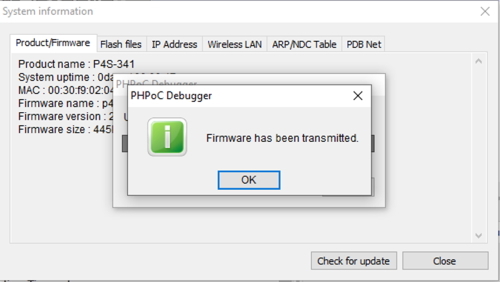 Run PHPoC Debugger and click connect ( ) button after choosing the right COM port. 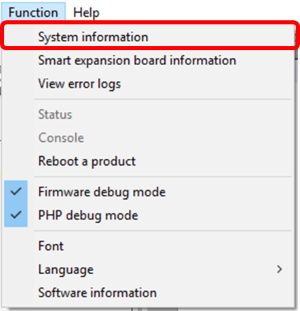 Click the [Function] > [Product/Firmware Information] menu. 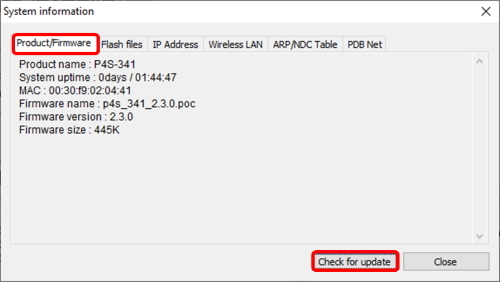 Click the [Check for update] button on the Product/Firmware Information window. Click [OK] after uploading F/W is finished. You can upgrade firmware of smart expansion boards if they are connected to your PHPoC board. Connect PHPoC board with smart expansion boards to your PC via a USB cable. 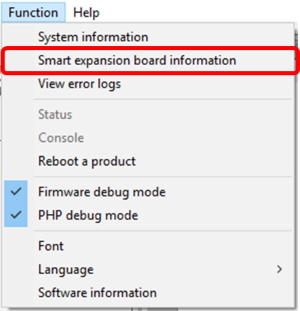 Click the [Function] > [Smart expansion board Information] menu. 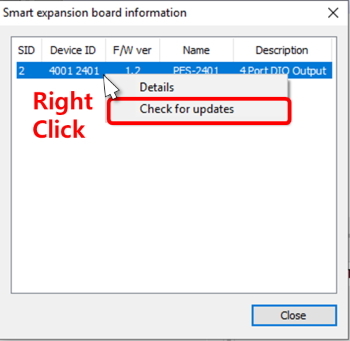 On the [Smart Expansion Board Information] window, right-click the product and select the [Check for Updates].